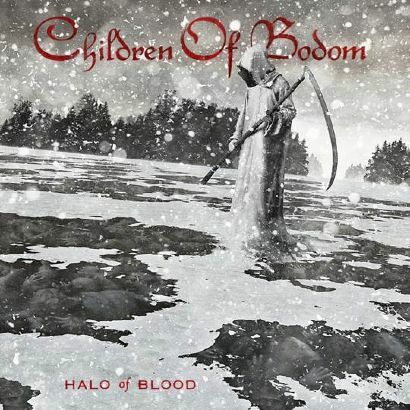 Finnish metallers CHILDREN OF BODOM have named their eighth studio album Halo Of Blood and have also revealed the album artwork created by Sami Saramäki. Bass player Henkka Seppälä states about the artwork: "We wanted to have a winter scene. Somehow it fits Well with the atmosphere of the music and the composing session. It could be lake bodom actually, frozen, with people trapped under the ice. Very Finnish looking scene. We were really happy how Sami created the whole imagery!" "Bodom Blue Moon (The Second Coming)"
"Dead Man’s Hand On You"
"One Bottle And A Knee Deep"
Halo Of Blood will be released June 7th through Nuclear Blast.